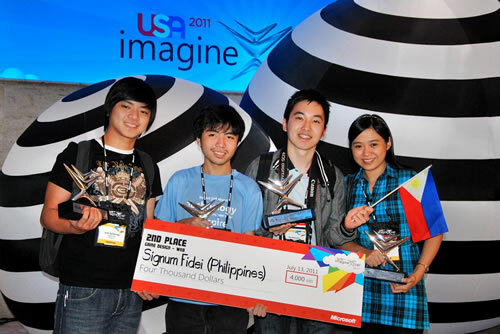 Despite the number of teams who competed this year, Philippine team Signum Fidei emerged as winners, placing second in the Microsoft Imagine Cup 2011 World Finals Game Design Web Subcategory with its entry titled Conjunct!, a puzzle game where the player is required to clear boards overlaid with photos of real-life problems around the world. The Imagine Cup is the world’s premiere student technology competition, which gathers the best developers around the world and harnesses the creative minds of the youth to address problems faced by the world today using the power of information technology. “œWinning in this year’s Imagine Cup is a big achievement for thePhilippines. This is the second consecutive year that our students’ talents were recognized, even placing in one of the top spots in the competition,” said Tim Vergel de Dios, Academic Developer Evangelist, Microsoft Philippines. (L-R) Team Signum Fidei Jeriah KJell Miranda, Thomas Tiam-Lee, Keven Hernandez, and Jenina Chua as they emerge in the top three of this year's Microsoft Imagine Cup Game Design Competition in New York, U.S.A.
Hailing from De La Salle Univerisity, Jeriah KJell Miranda, Thomas Tiam-Lee, Keven Hernandez, and Jenina Chua form the winning team Signum Fidei. According to group, the concept of Conjunct! was inspired by the game Tetris and the millennium development goals. “œAs we realize the vast problems faced by the world today, we saw how Filipinos can make a difference and through our game Conjunct!, we have combined social awareness concepts in order to help make a difference by showing the people the various realities taking place in our world. We saw them with our own eyes and we hope to be able to make our own contribution in solving the world’s problems in our own simple ways,” said Thomas James Tiam-Lee. For the Game Design Web subcategory, as the Philippines won second, Poland took first while Slovakia, third. 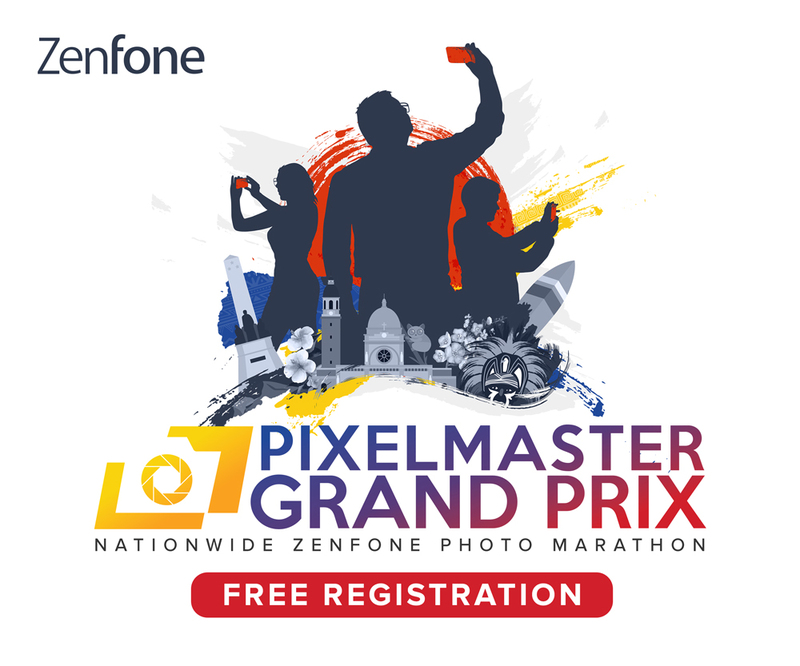 Two teams from France made it to the top two spots while a team from the United States grabbed the third one in the Mobile subcategory. Brazil, Thailand, Czech Republic were the teams who won in the Windows/Xbox Game Design Category. Ireland bagged first in the Software Design category, followed by United States of America and Jordan. In the Embedded Development category, Taiwan, China and Romania garnered first, second and third places, respectively. Romania won first, Oman second and Taiwan third in the Digital Media contest. Lastly, in the Windows Phone 7 category, two Korean teams dominated the top two places while a team from the United States entered third. “œWe have worked very hard into putting Conjunct! together from the simple ideas we had, primarily, into the game it is now. All great things in our world start with simple ideas and the Imagine Cup is the perfect place where you can showcase these ideas and evaluate, improve, and nurture them. We encourage everyone to join next year’s contest, to be proud of your ideas and to treasure all the learnings that you will get from the experience,” Tiam-Lee shared. Microsoft also unveiled plans to launch a three-year, $3 million grant program to help participating Imagine Cup students. The grant will include a combination of cash, software, training, consulting and other support to the Imagine Cup teams. “œOur Philippine teams have shown potential in the aspect of using technology to help transform simple ideas into technologies that can help transform the way people work. We are very proud to tell the world that Filipinos always have a chance to demonstrate how technology can bring about change to the nation,” de Dios concluded.